Pedro Méndez-Carvajal, Ivelisse Ruiz-Bernard, Guido Berguido y Rafael Aizprúa (Poster presentation, April 24, 2010). A population study of the Primate Community at Chucanti, Natural Reserve, Darien Province, Republic of Panama. In: What is Primate Conservation, 10th Aniversary of the MSc. Primate Conservation, Oxford Brookes University, Oxford, UK. 46-47. We have conducted a preliminary study of the primates population surviving in a forest of the Chucanti Natural Reserve, Darien Province. The study site is located in the frontier border between the Panama province and Darien Province (08·47´16.5" N, 078·27´01.4"W). Its higher zone reaches the 1,259 m.o.s.l. with an extension of 3 km² of mature forest surrounded by fragmented forest and farming lands. It is the higher elevation of the Maje Mountain chain with temperatures between 24-27 ºC, and annual rainfall of 1,940.5 mm. We utilized transect line and triangulation as conventional methods to survey primates in the Neotropics. Three species of non-human primates were identified living in this patch of forest: the black spider monkey of Darien (Ateles fusciceps rufiventris), forming subgroups of four individuals (1-13 range), with complete groups of at least 20 individuals and a total population of 60 individuals, with a population density of 9.3 ind/km²; the black howler monkey (Alouatta palliata aequatorialis), with six troops in total, an average of 14 individuals per group, a total of 85 individuals and density of 28.4 ind/km²; and the capuchin monkey (Cebus capucinus capucinus), with one group of six individuals and density of 2 ind/km². The results are similar with other primates densities calculated for other species of the same genus living in connected forest. Vocal activity of the black spider monkey of Darien and howler monkeys were very conspicuous. Although the Convention on International Trade in Endangered Species of Wild Fauna and Flora (CITES) classified only the black spider monkey of Darien as Critically Endangered, the three monkeys are locally threatened by hunting as bush-meat and deforestation at industrial levels. 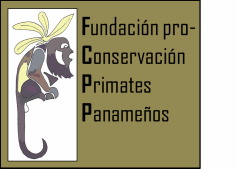 This is the first study conducted by the FCPP and Advantage Tour Panama pertaining to these species in Darien, which is part of a conservation initiative that pretend to minimize the high risk of extinction of those animals in Panama.